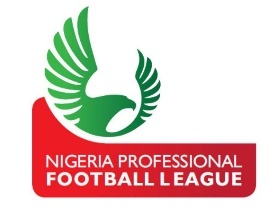 As a follow-up to the success recorded in its first two editions, the Nigerian Premier Football League (NPFL) and LaLiga are set to kick off the third edition of the NPFL-LaLiga annual coaching clinic. The five-day clinic is expected to have about 100 youth coaches in attendance and will take place at the National Stadium, Abuja from Monday the 21st to Friday the 25th of January, 2019. The annual coaching clinic will precede the NPFL U-15 Promises Tournament and is designed to train youth coaches on how to properly develop young talents using LaLiga methodology. The content of the clinic will as usual be framed within a level 3 (professional) syllabus where coaches will learn more complex and technical aspects of LaLiga’s methodology as a continuation of levels 1 (beginner) and 2 (intermediate) training from the first and second editions. LaLiga Sports Project Coordinator, Juan Zapata spoke about LaLiga projects in Nigeria and said “The first two editions of the clinic were highly successful and we are once again thrilled to have the opportunity to spread the LaLiga’s methodology across Nigeria and Africa with the third edition of the clinic. We are committed to each of our projects across Africa, and sending LaLiga coaching instructors to again train the youth coaches in Nigeria aims to further show our commitment to the development of football in the country”. Also speaking about the initiative, Assistant coach of the Nigerian U-17 National team, Bunmi Haruna said “Last year’s edition of the coaching clinic was very impactful. We were exposed to the Spanish methodology for training players. The Spanish model is indeed unique and very technical, and I am grateful to the NPFL and to LaLiga for giving me the opportunity once again to better my skills as a coach”.